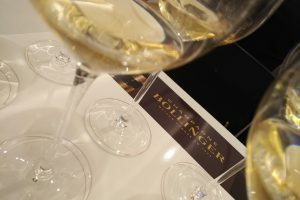 Anne Krebiehl MW analyses ‘bold and brilliant’ Bollinger 2004 R.D. 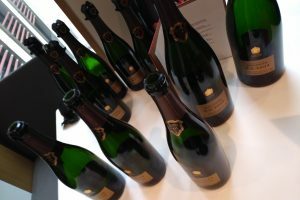 Just 25 vintages of Bollinger R.D. 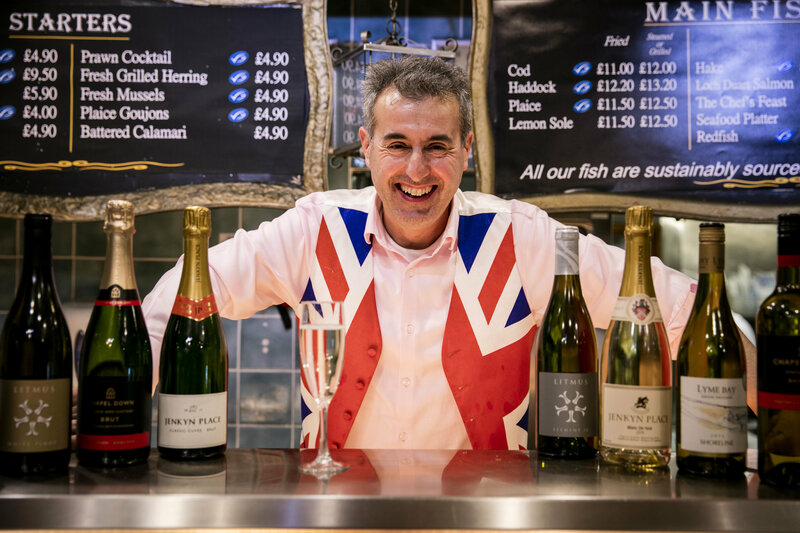 have been launched to date, the very first being the 1952 vintage released in 1967. 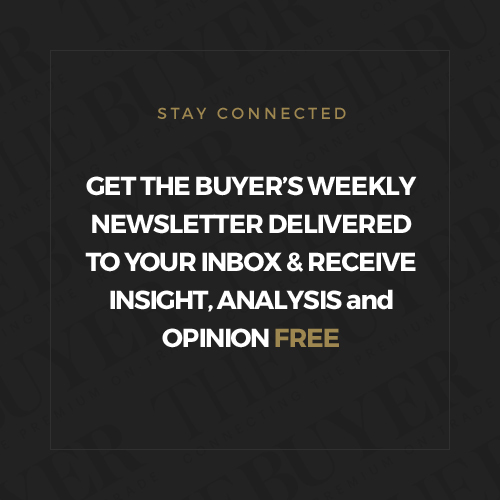 On Thursday, 22 March 2018, the latest iteration – the Bollinger 2004 R.D. – was launched to an expectant world. 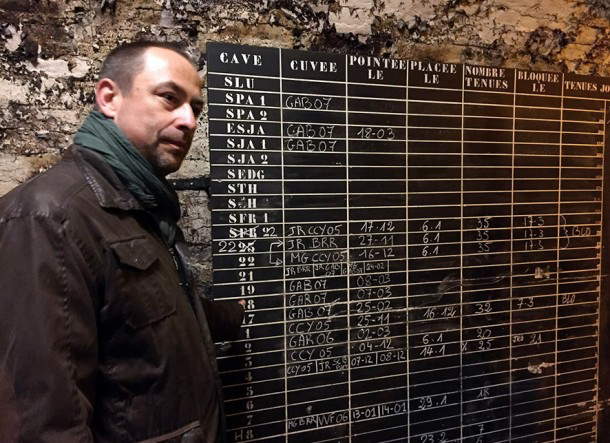 Anne Krebiehl MW was there to taste the new Champagne from bottle and magnum and reports back about the many facets of the wine, including the fascinating origin that lies in a rare and privileged tradition. 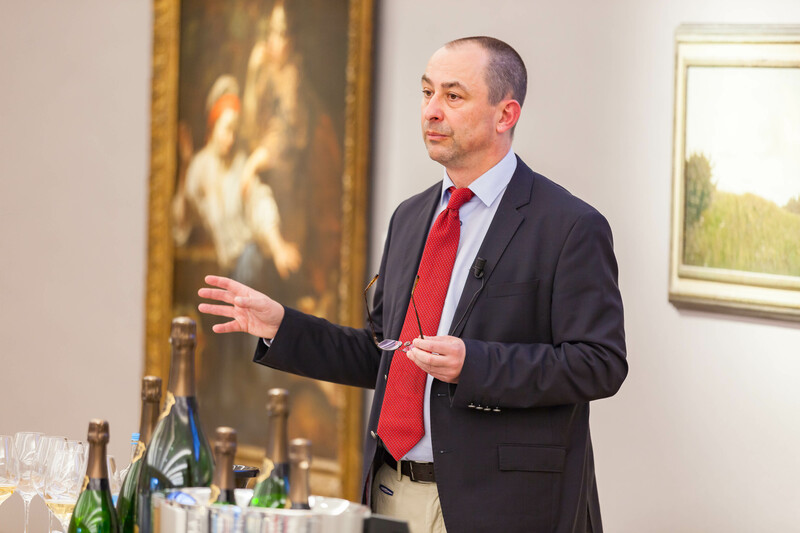 Bollinger’s chef de cave, Gilles Descôtes, was in London to mark the launch with a masterclass. In it were three different flights of wines: designed to show the effect of time on a glass of Champagne, different dosage levels of the Bollinger 2004 R.D. and, lastly, the effects of disgorgement. Behind him, a projector blazed three words: Time – Boldness – Rarity. “It’s not so much about technical detail as about these two, time and boldness,” he said. 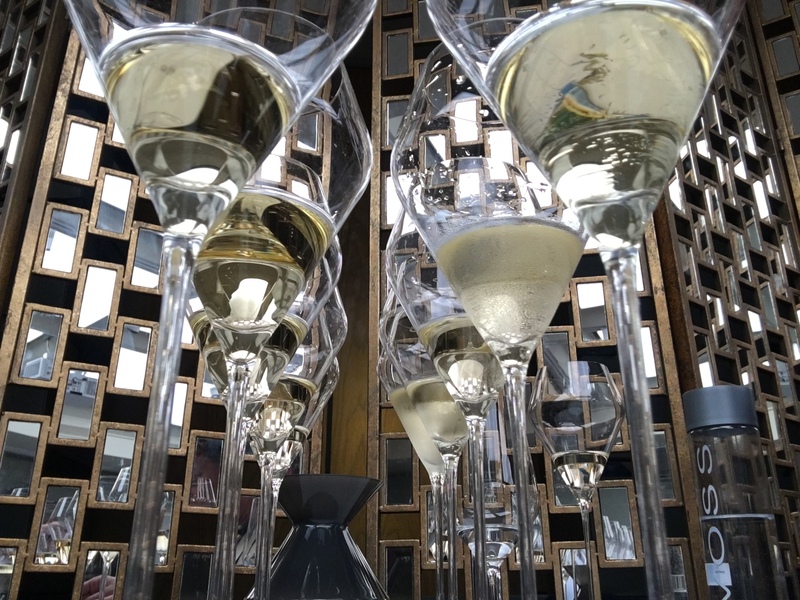 The two blind wines were served in Bollinger’s ‘Verre Elizabeth’, the house’s own glass shape which was one of Descôtes’ first jobs at Bollinger to design, bearing far more resemblance to a white wine glass than to a tulip. Descôtes asked if we had tasted a difference between the two glasses that had been poured. Yes, the room agreed, there was a difference, but it was hard to put one’s finger on it. It turned out that Descôtes wanted to prove a point about the passage of time. We had all been served, exactly 15 minutes apart, the same wine from the same bottle. 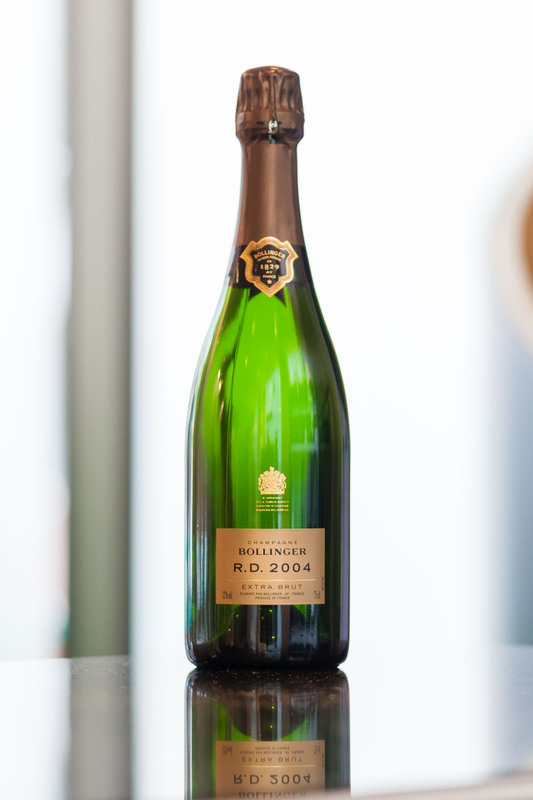 The wine’s interaction with air had changed the aromatics slightly on what turned out to be Bollinger 2002 R.D. 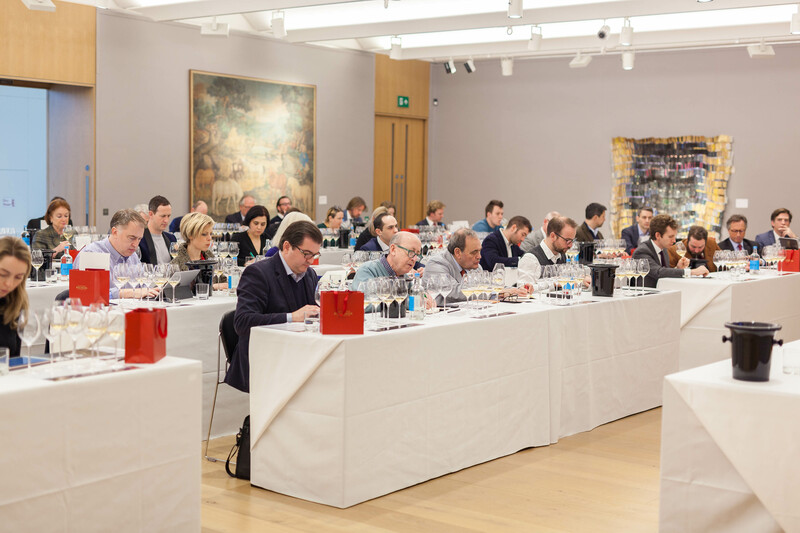 Descôtes remarked on its unusually high proportion of 40% Chardonnay, which was particularly unusual for a house with such a Pinot Noir focus, and noted that these bottles had been disgorged, by hand no less, after also being riddled by hand, on 17 May 2017. Its precision and freshness were evident, its famed creaminess still in abeyance. “When you talk about great wine you talk about an aromatic journey. Even if it’s only minutes, time matters,” Descôtes said. As a further three glasses were poured blind, Descôtes explained that the move to release R.D. for the very first time in 1952 was a “bold, innovative, spectacular” choice on Madame Bollinger’s part. 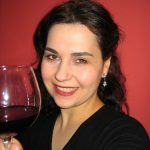 Apparently Madame was moved to share an experience with the world that was usually the preserve of privileged guests in Champagne houses: that once you had had a good dinner you descended to the cellar to choose a mature, old bottle which was disgorged there and then and drunk amongst the friends. 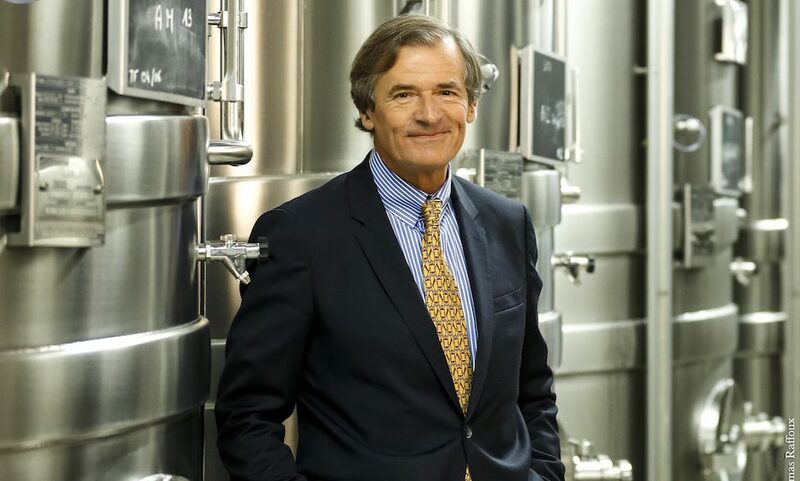 “We do that for our best friends, why don’t we do it for our customers?” This is how Descôtes paraphrased Madame Bollinger’s initial idea behind R.D. 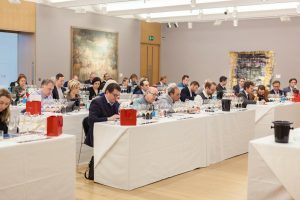 The beautiful story also served as Descôtes’ prelude to a tasting of three different dosage levels and the debut of the 2004 vintage: once we all had tasted and opined Descôtes revealed that we had just had the Bollinger 2004 R.D. 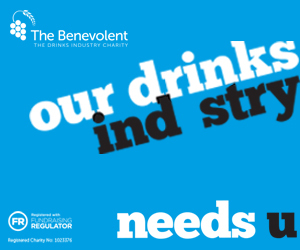 at zero grams of dosage, at its real dosage of 3g/l and at a much more emollient 8 g/l. The zero dosage version, taut, exquisitely salty with a lovely lemon tang, showed that this wine had nothing to hide, that it was fresh as a daisy and really still a baby after its disgorgement on 25 November 2017. The tiny dosage of 3g/l boosted the notions of apple and citrus zest – but that is the way with beautifully clear and acidic wines: a little sugar does not act as a sweetener but as a flavour enhancer. The version with 8g/l was distinctly richer and rounder but also less pure than that honed ideal at 3g/l. Descôtes then spoke about the unusual generosity of the 2004 vintage, saved by a golden September which was 2°C warmer, had 20% more sun and 80% less rain than average. Descôtes also noted the famous Bollinger commitments of at least 60% Pinot Noir in every blend, using only the best from the pressing, sourcing only from Grand Cru vineyards, 100% fermentation in oak, ageing under natural cork with agrafe rather than crown cap, hand-riddling and hand-disgorgement. The third flight, also poured blind was by far the raciest: this served to show the difference in disgorgement dates and the diverging development of bottles pre- and post-disgorgement. We had the Bollinger 1996 R.D. disgorged in November 2017 after nearly 20 years on lees and the same wine disgorged in 2012. While the 2017 disgorgement did not show a wrinkle and sprayed with evolved aromas of chalk, maple syrup spiciness and rich caramel notes on a bright, fresh palate; the 2012 disgorgement had a far earthier nose with deep notions of wet chalk and a palate with super-soft mousse and gorgeous roundness. Both wines, however, had a thrilling, moreish lemon streak of freshness that just lasted and lasted. 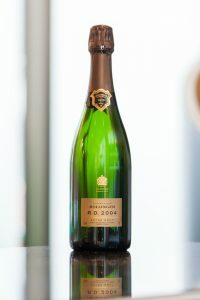 The very last and eighth glass was the Bollinger 2004 R.D poured from magnum: what a blast of fruit: Mirabelle plum and Golden Pearmain apples, the creamy aspect only just taking on its customary richness. The palate is still tight and taut while autolytic notes came across as salty shortcrust pastry. The finish tingled with a freshness that unites salt, lemon and ripe Golden Pearmain apples. Delicious. In Descôtes’ own words we had witnessed the “1996 bold and sharp; the 2002 bold and fresh and finally, the 2004: bold and brilliant.” Madame would have been proud and rightly so.